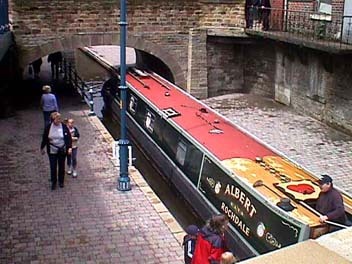 Located 8 miles east of Manchester, Stalybridge sits at the foot of the Pennine Way. The site brings together the old with the new, gathering images and stories for the young - and young at heart .... before they are lost. 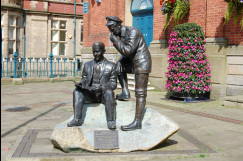 Jack Judge depicted outside the Civic Hall (formally the Old Victoria Market Hall) composing 'It's a long way to Tipperary'. 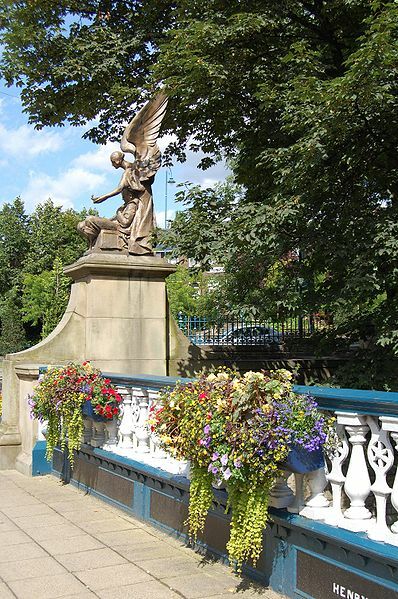 Stalybridge is an up and coming town with a great future! New housing, improving schools, formation of 'The Town Team', and a determination by local residents, all make 'The Bridge' to great place to live! my home town over the last couple of decades...some folk didn't like changes and some said the town was dying - but now the shopkeepers and the public are working together determined to make Stalybridge - the town it used to be! Click this button to return to the top of the page.